1) Workplace Violence - According to the Justice Department, While working or on duty, U.S. residents experienced 1.7 million violent victimizations annually from 1993 to 1999 including 1.3 millionsimple assaults, 325,000 aggravated assaults, 36,500 rapes and sexual assaults, 70,000 robberies, and 900homicides. Workplace violence accounted for 18% of all violent crime between 1993 to 1999. 2) Employee Theft - 33% of employees admit to stealing a product or money from jobs in the last three years. The U.S. Chamber of Commerce estimates dishonesty by employees costs 1%-2% of gross sales. It is estimated that 30% of business failures are directly related to employee theft. 3) Negligent Hiring Liability - Negligent Hiring damages may be awarded against an employer if an employee commits a criminal act and it is found that the Employer failed to perform a reasonable search into the employee's background prior to hiring. One of the most famous cases involved a company named Trusted Health who did not conduct a background check on a Nurse's aide who has six previous larceny convictions. The Aide fatally beat and stabbed one of the residents. Trusted Health was found liable for 26.5 million dollars for not performing a background check. 4) Lost productivity and training costs - The cost of hiring, training, and then terminating one employee can be very expensive. According to William M. Mercer, Inc., turnover costs a minimum of $10,000; 20% of respondents indicated turnover costs exceed $20,000. 5) Falsified employment applications and resumes - Applicants tend to stretch the truth. Our in-house statistics reveal that over 35% of the applications and resumes that we process reveal a distortion! 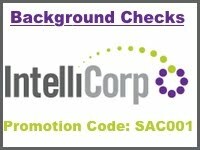 Background Checks are pretty scary when your waiting for results. Especially when it can cost you a potential job offer.